Affordable granite countertops may sound like a dream. When you see brand new granite countertops on somebody’s kitchen, you know the conversation will end with them ranting about how expensive they were. However, for the savvy shopper affordable granite is most definitely a possibility. While natural stone will never be as cheap as laminate or tiled countertops, it has other advantages that makes it a great investment for your kitchen. Here is the ultimate guide to affordable granite countertops, the benefits of this kind of natural stone kitchen surfaces and whether you should choose it or go for a totally different thing. Are granite countertops worth the cost? Granite is a stunning, natural stone and many people choose it for their kitchens because of the luxury look it creates. No two slabs of granite are identical, and your countertops will have a natural, organic feel that man-made factory produced worktops just lack. However, few people would choose to pay a premium for granite countertops only because of the looks. Granite is a hard working material perfectly suited for a busy family kitchen. Granite is durable as a rock. It can take years of daily use and still look even better than when you installed it. It is heat resistant and scratch resistant, and can take chemicals that would make holes on laminate countertops. You don’t need to be careful with granite countertops in the same way you need to be with butcher’s blocks, for example. They do require some maintenance, but it’s nothing you need to do too frequently. 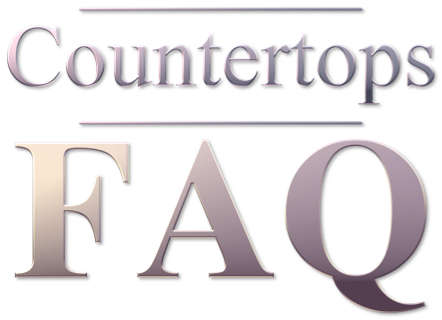 If your granite countertops are properly sealed, they will last far beyond the five or ten years you would get with careful use of laminate countertops. That puts the cost into perspective, doesn’t it? Granite prices vary depending on which type of granite you want to use and the quality of the stone. The most affordable granite is granite tiles. However, they have more seams and look less luxurious than a customized slab granite countertop. Installation is key here: granite tiles can look great but only if great attention is paid to the grouting at the seams. You can get granite tiles for around $10 per square foot, plus the installation price which usually adds around $10 to $25 per square foot. So realistically, you can get an affordable granite tile countertop installed for around $20 per square foot. If you are looking at high end slab granite, the prices are much higher. Slab granite should only be installed by professionals (you really don’t want that unique slab you choose breaking) and prices can go from $45 for an end-of-line granite slab countertop to $250 for luxury ones. The size, quality and thickness of the stone will define the price of slab granite countertops. So you have decided to buy granite, and have started asking for quotes. And they are all over the place, some include installation, some don’t. There are many factors that affect granite prices, and being a savvy shopper will get you the best price for your granite countertops. You will get a better price if you have one company do all of that. Some companies will install granite countertops manufactured by third parties, but often they won’t have any responsibility on the quality of said material. If problems arise because the materials are not ready on time, or the designs are not clear enough, it will be a game of passing the ball. And you, as the customer, will be the one losing out. Buying your granite countertops from somebody who is in charge of the entire process not only will allow them to give you a better price, but also reduce installation issues and make fixing errors much easier. You may be able to get really affordable granite from chain home improvement stores, but they tend to add a premium on their installation and design services. However, some of them offer free credit or other incentives so don’t disregard them completely. At the very least, they will be a good way to compare prices in your area. But don’t expect them to be the cheapest unless you are availing yourself of some end of line sale or seasonal offer. Granite prices are directly affected by the quality of granite you are purchasing. One of a kind, luxury branded granite slabs are many times more expensive than the humble granite tiles. Very cheap granite often has a very high percentage of soft content. This means boring patterns and plainer looks. This kind of granite is more affordable but it also more likely to chip or crack. While you can repair granite chips yourself, it is still time consuming. If you are looking for affordable granite, quality is not really the best place to make savings. If you find very cheap granite countertops at a store, keep this in mind. Always get assurances, in writing, about the quality and hardness of the materials used. Granite countertops made of a single, cut to measure slab are the most gorgeous and sought after. You can save money, however, buying remnants of granite slabs for smaller jobs. You can also save money if you purchase granite tiles. Those are are smaller chunks of granite cut to tile size, but it’s a look that may not work for your kitchen. Granite tile countertops. Cheap but you can clearly see the seams. Prefabricated granite slabs are cheaper. If your kitchen has no unusual shapes can be a good, more affordable granite than slab countertops. The most important bit when purchasing granite countertops is measuring everything right. A professional installer should measure your kitchen prior to giving you a quote. Any errors will be difficult to fix once the granite is ordered. The thickness of granite slab greatly affects the price. You can use a 2cm thick stone instead of a 3cm thick one for some significant savings. Anything under 2cm is probably not best used in a kitchen or anywhere that is not purely decorative. For some people the thicker option looks much better. However, if you are not one of those, this is a way to make affordable granite a reality. Buying affordable granite countertops is easier if you buy local. Getting your countertops imported from India crossing half the world to the United States will incur serious shipping costs. The top exporters of granite slabs are India, Brazil and Norway, but the United States also has a huge production. Always keep in mind your shipping costs when purchasing granite countertops. Also, any errors will be considerably more difficult to fix if you are trying to buy from an exporter in another party country with different consumer protection laws. If you must import, it is even more important to get your installer to purchase the granite as well. The most affordable granite colors are lighter colors like beige, green or white. They are easier to cut and much more common. Blues, reds, purples and those with veins from other stones are more rare. They are often more difficult to cut so the price is higher. Granite countertops need to be finished by cutting an edge and then sealed and polished. Special edging styles will come at a premium. A similar thing happens with the finish: high shine sealing often comes at a higher price. Make sure to ask what is included in the granite prices you are being quoted. Different sealants and easier edging styles can make your countertops a bit cheaper. The more complex your kitchen layout, the more expensive your countertops will be. Customized granite countertops are always more complex to cut and install. Cutouts for plumbings and fixtures, backsplashes, they all add to the price. What’s more, if your kitchen layout is very complex it is very unlikely that you can avail yourself of the more affordable granite types such as prefab or tiles. There is not much you can do if your kitchen has a difficult layout. However, if you are installing countertops as part of a kitchen remodelling project it is worth keeping the countertops in mind. Complex layouts may look great in pictures, but they come at a price. You can go and visit several stone yards and granite manufacturers. Each will have a variety of granite at different prices, and some will even help you with measuring and designing your kitchen. However, comparing prices is generally a nightmare. The biggest variation in cost when installing granite countertops is usually the service part of it: measuring, templating and installing them. In order to save when buying granite countertops, the best thing to do is go straight to the source. Google for “granite wholesalers near me”. You can probably assume that most stone yards around you will use the same local granite wholesalers. Often they are often for browsing even for people who are not contractors, even though you won’t be able to buy at wholesale prices. They have the biggest variety of granite slabs and prefab tiles. Go and visit one or two wholesalers (one may be enough, they are usually huge) and find the granite type you like. Sometimes you can even reserve a slab to your name by explaining the situation to the sales staff. After you have chosen the granite you’d like installed in your kitchen, get quotes from stone yards and granite fabricators. Point them to the exact slab you were looking at, or at least the type of granite, and get them to give you an inclusive price for purchasing the material from the wholesaler, and the installation process. This way you can compare granite fabricators in your area and choose the best prices for more affordable granite. All without having to relinquish control on what sort of granite you want installed. And without having to deal with purchasing the granite independently, which tends to be much more trouble that is worth. When purchasing affordable granite, make sure to do your research and get several quotes. Your brand new granite countertops will be with you for the next decades, so it’s worth taking the time to choose something that is perfect for you. Quartz vs Granite Countertops, Which One Should You Choose?